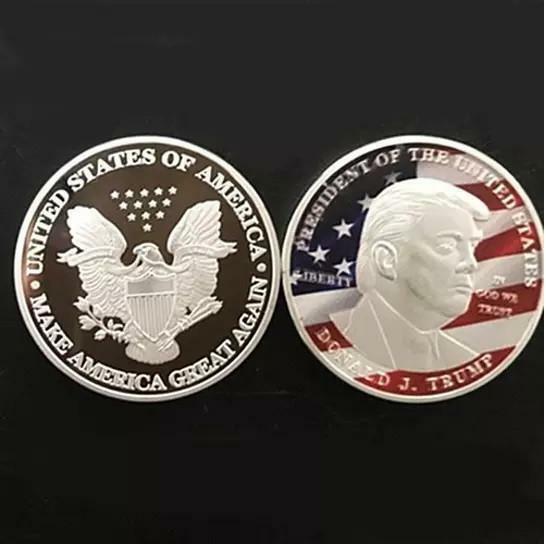 45th President Donald Trump Silver Coin with President's image and seal.. Have this Collectors Choice 1 OZ Silver Clad coin.. and have the reminder to Make America GREAT Again DETAILS: Front of the coin: President Mr. Donald Trump's Image and USA Flag in the background. 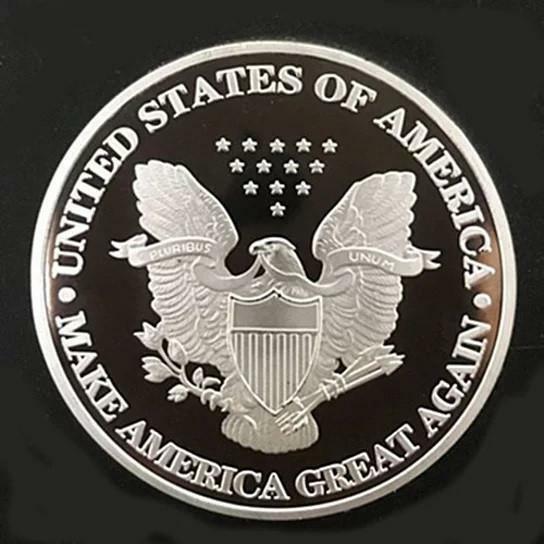 Back of the coin: United States Of America Seal Image. Weight: One Troy Ounce Alloy Silver Clad. Limited Edition Collector's Item. Size: 40mm X 3mm. 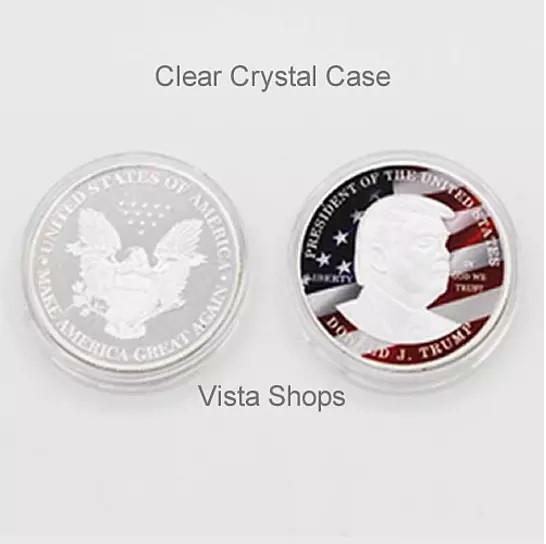 Comes in Clear Crystal Protective Case.